One might think that tree branches are just a mess of tangled branches, but that’s not true. There is a pattern in the way the tree branches grow. The branches have a spiral pattern that reaches up into the sky. This spiral is showing the Fibonacci sequence, a mathematical formula called the "divine number" to an 18th-century naturalist Fibonacci. In 1209 in Pisa, Leonardo of Pisano, also known as “Fibonacci”, came up with a numerical sequence. Fibonacci used patterns in ancient Sanskrit poetry from India to make a sequence of numbers starting with zero (0) and one (1) and following the pattern Fn = Fn-1 + Fn-2. The sequence seemed to have mystical powers! Scientists and naturalists have discovered the Fibonacci sequence appearing in many forms in nature. On the oak tree, the Fibonacci fraction is 2/5, which means that the spiral takes five branches to spiral two times around the trunk to complete one pattern. La Quercia: The Fibonacci’s sequence is a clear example of the complex mathematical rules governing the living processes. For this reason, we are of the opinion that only a comprehensive approach taking into account all the aspects of a human being (biological, psychological, environmental, as well as life history and events) can be of help in understanding its complexity and should be used to develop appropriate therapeutic strategies. Sovereignty, rulership, power, strength & endurance, generosity & protection, justice & nobility, honesty & bravery. The Oak trees essence helps boost energy levels and the ability to manifest our goals. The tree's roots mirror its branches and stretch as far below ground as the branches do above. 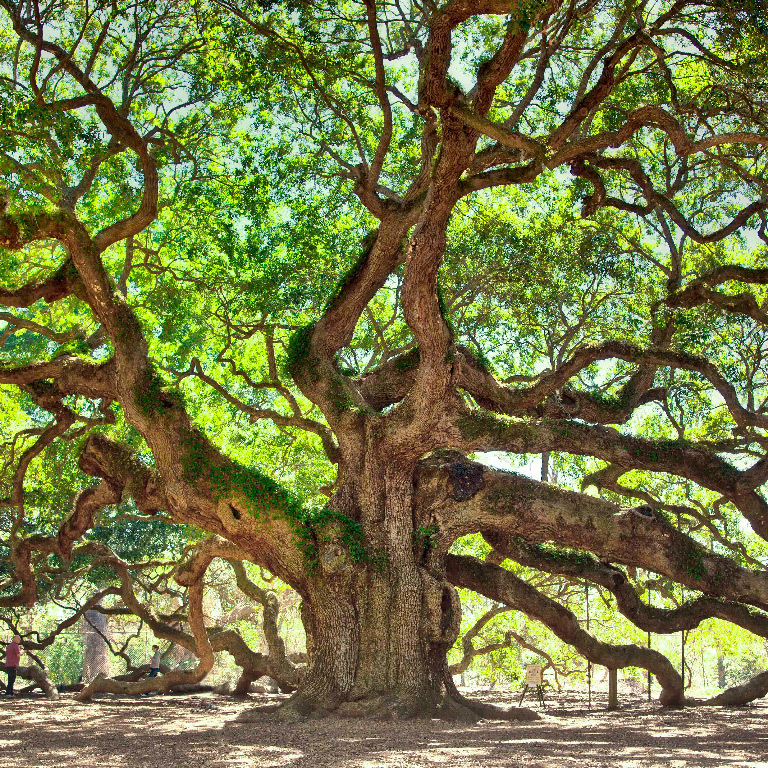 The Oak tree is considered the most powerful and most sacred of the trees to the Celtic peoples. Every house has a front door. If you wish to enter, the door must be approached and your presence made known. The door may then be opened. 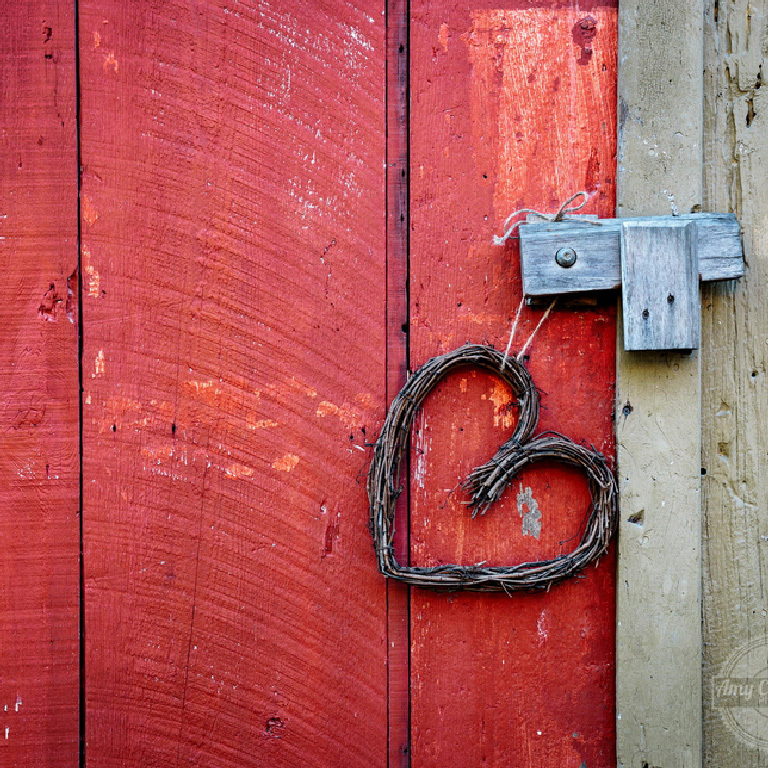 The very word "door" comes from the Gaelic and Sanskrit "duir" - a word for solidity, protection and the Oak tree. 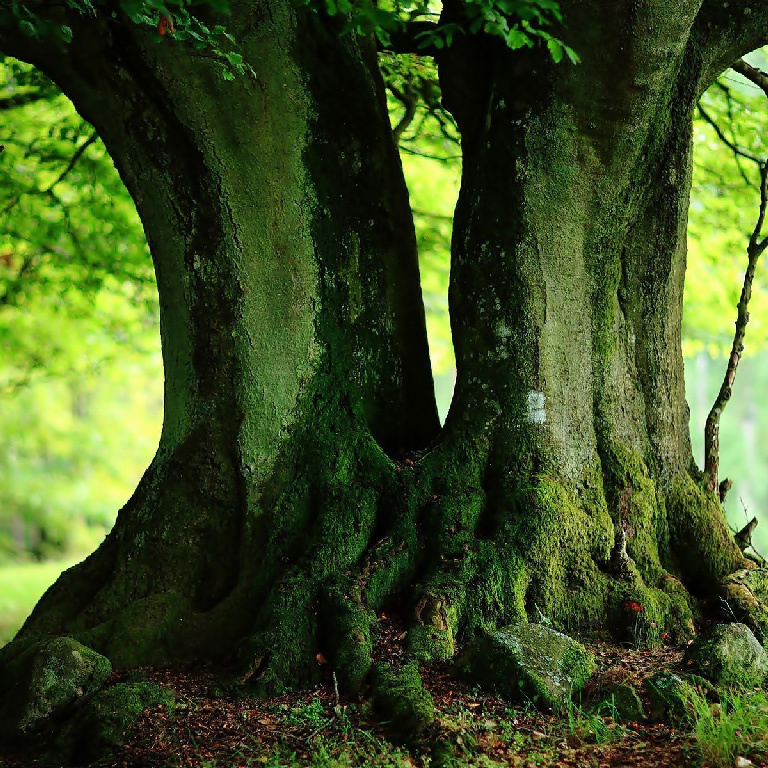 La Quercia: The tree roots represent our attachment to life, family, love, antecedents and ancestors that nurture us and are the basis of our development. The tree branches represent the way we grow up to the sky and to the sun, and depend on our education, values, attitudes, fears. To fully be able to love, one needs to be aware of the full oak he or her has become, both the parts above and below the ground. A full self-awareness is essential for a healthy and balanced growth and development, and to be able to set objectives and projects that can be accomplished. Self-awareness can be trained and reached through knowledge and understanding. He stands mightily solid with great branches, matched only by still greater roots. He is often struck by lightning. The force of the strike and the heat bursts the sap and stem apart leaving the trunk gnarled and withered. Yet, he still manages to survive, over the years, decades and centuries. His growth is slow but sure. His children grow into magnificent replicas of himself and he is a marker point, a cornerstone and a refuge in the forest. Sharing is important. Sharing is the secret for a harmonic and balanced life trajectory. Sharing is the primary Must of our initiative. We do not want only to teach, we want to share emotions, problems and healing processes with those who will accompany us in our project. Our choice of seminar locations and trekking routes is primarily driven by beautiful and meditative landscapes, historical memories and accessibility to everybody.